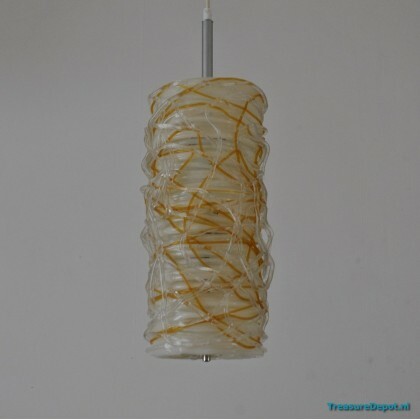 Luctite Spaghetti Spun hanging lamp from the sixties. 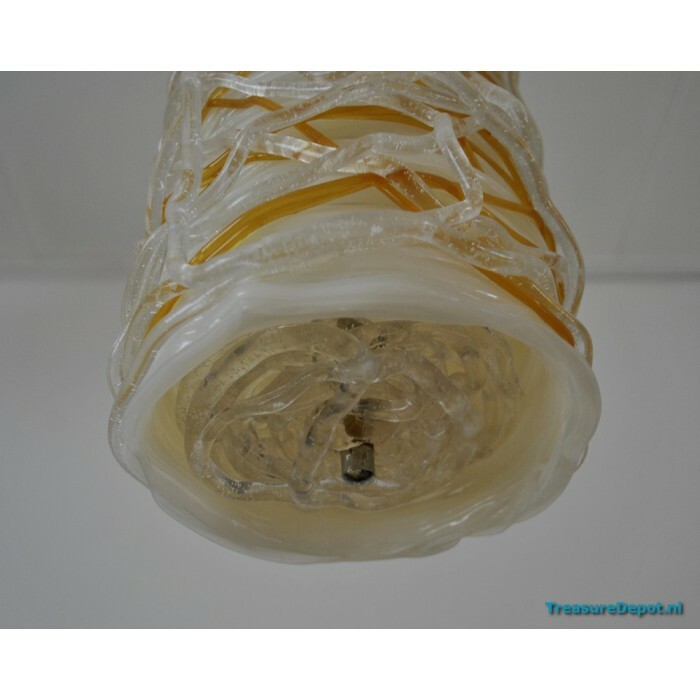 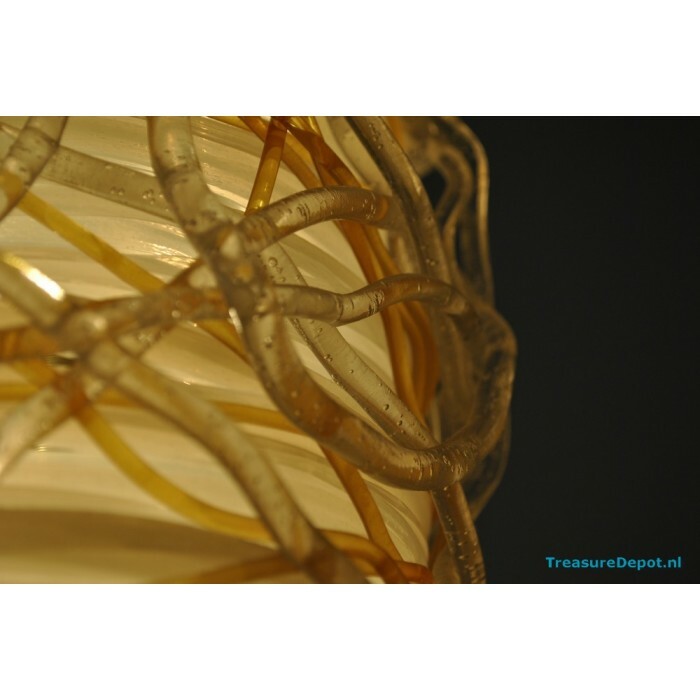 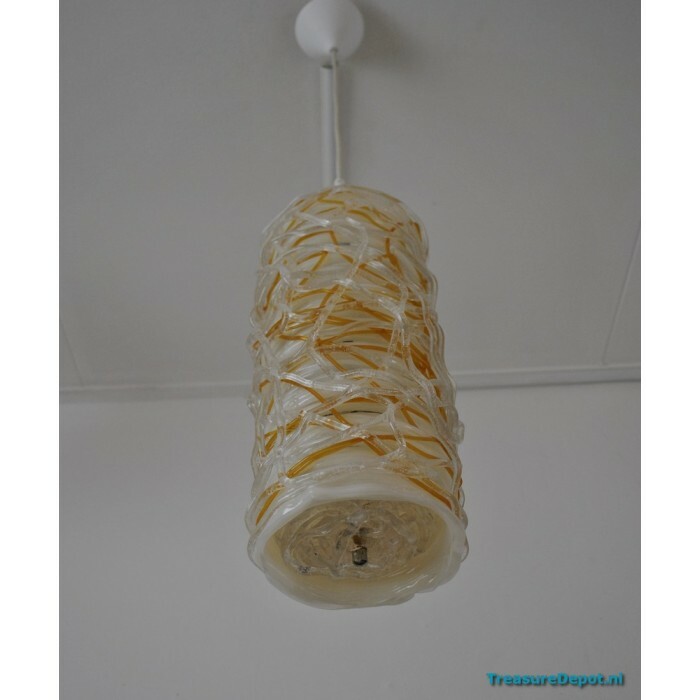 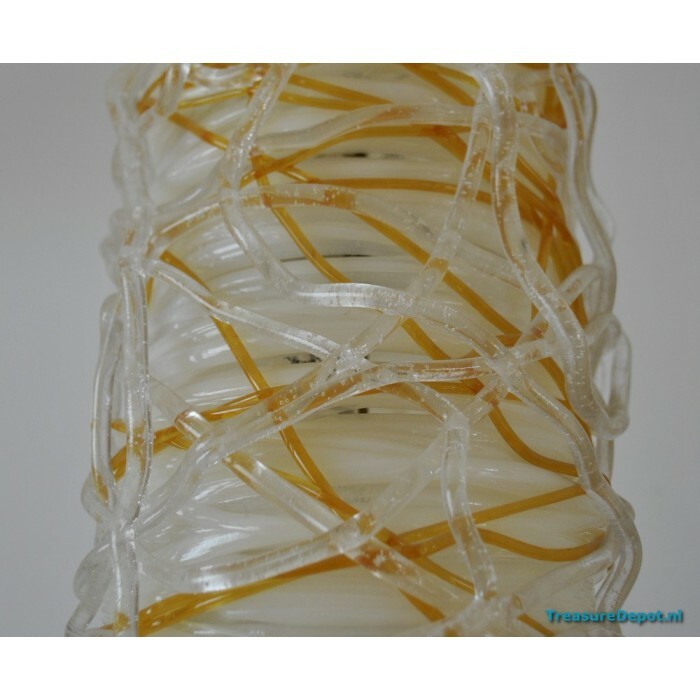 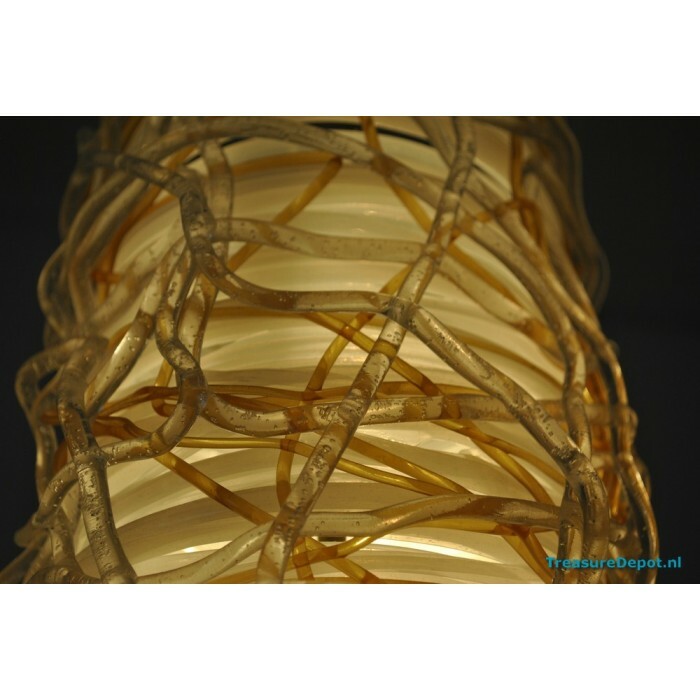 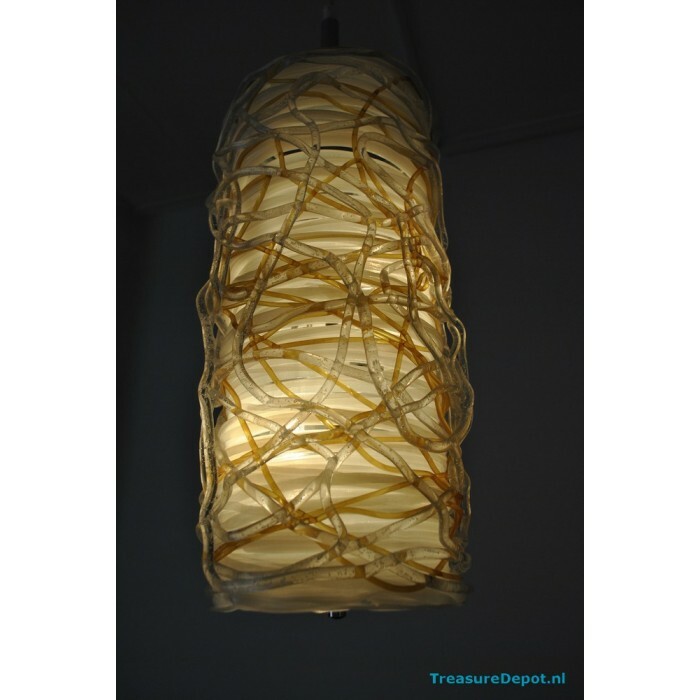 White lucite covered with transparant and ochre coloured spaghetti. 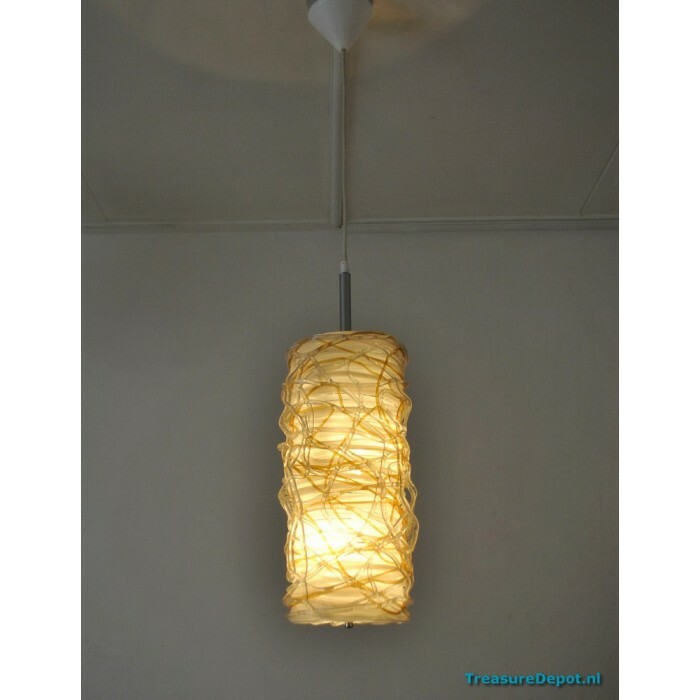 The height is 40cm and the diameter is 18cm. 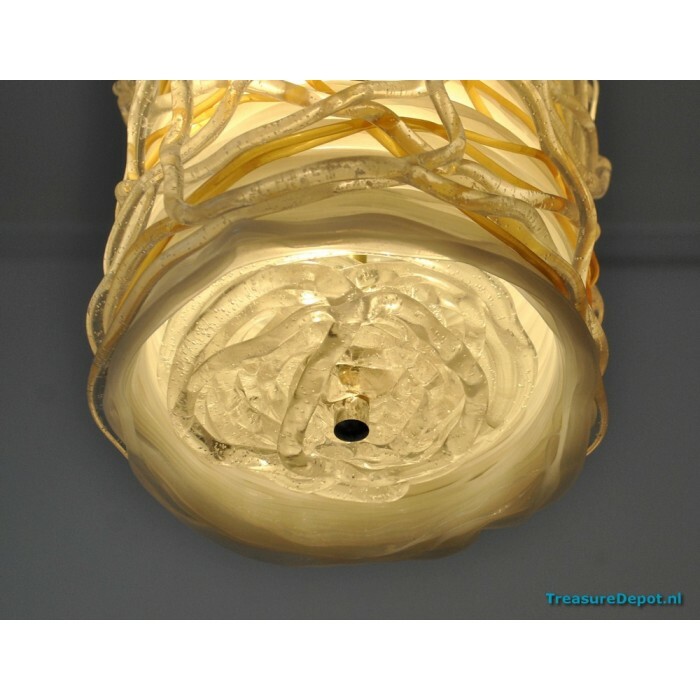 The lamp holds 2 E14 bulbs.